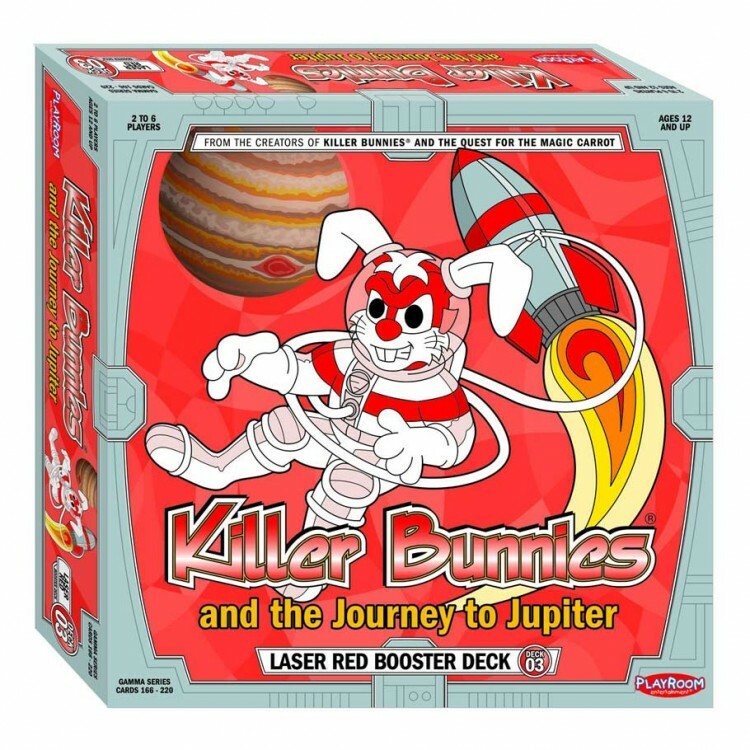 The Journey to Jupiter(TM) kicks into space-warp speed with more deadly Beyea Aliens, more powerful ships and 3 additional sectors of space for your powerful Red bunnies to explore!The Laser Red Booster Deck includes 55 new cards, 5 new ships, 3 Pineapple markers, a Red 20-sided die and the planet Saturn! Maybe you'll subject the players to a devastating Solar Flare or send your opponents' markers back into space with an annoying Cargo Blow!Don't get distracted by the 99 Red Balloons or slowed down by Sector Ah-Le-Thargy.Dirk's Caffeination may help move things along, and the Beings of Light may prevent a Cosmic Calamity! Even innocent fruit may have consequences, as you discover that our Pineapples have a rind of a different (and sometimes deadly) kind.With cunning and danger behind every asteroid, fun and good times will be hard to avoid.The Laser Red booster deck is definitely the thing -- it even includes the planet with the ring!